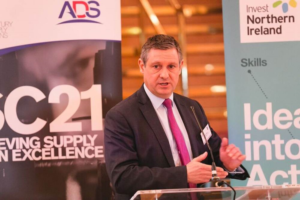 SMMT Industry Forum was invited to share details of SC21 ‘Competitiveness and Growth’ initiative, co-developed by the automotive and aerospace industries, at the ADS Achieving Supply Chain Excellence Event in Belfast last week. SMMT Industry Forum – the organisation set up by the UK government, the Society of Motor Manufacturers and Traders (SMMT) and vehicle manufacturers to improve the competitiveness of the UK’s automotive supply chain – provided a briefing of a new SC21 ‘Competitiveness and Growth’ programme for the aerospace supply chain at the ADS Achieving Supply Chain Excellence Event in Belfast, on January 31st. SMMT Industry Forum CEO, Dr. Chris Owen applauded the joint efforts of the automotive and aerospace sectors: “Between our two great industries we have decades of experience on how to develop supply chains but for far too long our approach has been fragmented, sector-specific and confusing for small and medium manufacturers. 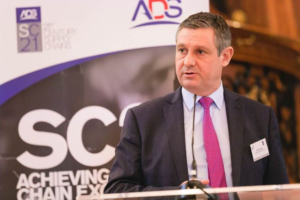 Now we have come together to put in place a new supply chain competitiveness and productivity programme to tackle the UK’s productivity challenge, raise workforce capability, boost economic growth and export,” said Dr. Owen. Dr. Owen urged over 250 event attendees to think carefully about their competitive performance and how they might develop their capabilities by engaging with the new SC21 C&G programme which is underpinned by the new cross-sector National Manufacturing Competitiveness Levels (NMCL) programme. SC21 C&G builds on the experience gained in previous national supply chain improvement programmes and has already been trialled with encouraging results. Notably, it takes a more holistic view of manufacturer performance improvement, with a focus on competitiveness in addition to productivity: achieving customer impact and winning new business. For more information, or expressions of interest in the SC21 C&G programme, contact nmcl today.